“I believe it is through the Churches and not through the Theosophical Society that Theosophy [the worship of Lucifer]… must and should come to large bodies of people in the West.” (Transactions of the Theosophical Society, H. P. Blavatsky, Annie Besant, 1904, p. 377). “Our Lodges continue their propaganda work….Outside the Lodges many of the members engage in what is really Theosophical work such as lecturing, talking on the principles we are trying to put forward, preaching and other activities in connection with the Christian Churches and other organizations….” (Theosophist Magazine, Annie Besant, 1912, p. 88). “At present, very many orthodox but rational men are being unawares acted upon by influences which will assuredly bear good fruit in due time if the process is allowed to go on quietly;” (Life and letters of Fenton John Anthony Hort, Vol. 1, 1896, p. 400). In the Old Testament Jeremiah said that “their course is evil, and their force is not right” (Jeremiah 23:10). The apostle Paul warned, “And no marvel; for Satan himself is transformed into an angel of light. Therefore it is no great thing if his ministers also be transformed as the ministers of righteousness; whose end shall be according to their works.” (II Corinthians 11:14,15). Here’s some startling information about how Theosophy has infiltrated groups Like “Focus On The Family” and “Christianity Today” magazine. Satan is not sitting idle as are most churches today. Rather, Satan “knoweth that he hath but a short time” (Revelation 12:12). Although this particular Scripture reference is to the time during the Tribulation, it is clear to anybody with spiritual discernment that we are living in the end times (toes mixed of iron and clay on Nebuchadnezzar’s image in Daniel 2:31-45). “We learn from history that we do not learn from history,” observed the German philosopher, George W.F. Hegel. The familiar axiom is at once lamentable and understandable. For the common man does not have at his disposal a store of reliable information upon which to base educated judgments, but a bewildering mass of half-truth, untruth, and skewed data. Among the purveyors of misinformation are undiscerning historians, who scarcely take notice of those organizations which maintain a covert existence, and revisionist historians who misrepresent the secret societies to serve their agenda. Exceptional recorders of human events who probe beyond the aura of mystery surrounding the arcane Traditions discover that a veritable “occult underground” exists and has existed throughout human history. The more perceptive find within the multiform kingdom of the cults that individual persuasions share a common agenda: to conform their society to a mutual set of philosophical ideals. Among these few will be found historian James Webb. With the pen of a ready writer, Webb has explored The Occult Underground of Western Civilization — from the Renaissance through the rise of modern Spiritualism. Renaissance scholars believed that Western Civilization had progressed beyond the barbarism of the Middle Ages, having found its inspiration and closest parallel in the ancient civilizations of Greece and Rome. Humanism replaced medieval duty to God and the King and Renaissance men, such as Michelangelo, Leonardo da Vinci and Marsilio Ficino of the Platonic Academy in Florence, revived the artistic styles and metaphysical values of classical antiquity, notably in Italy. However, freedom from religious conscription produced a form of culture shock. Under the veneer of the revival of arts and refinement of culture, interest in the occult, magic, and astrology flourished as a substitute for religious faith. Ficino incorporated Platonic literature and the Hermetic sciences – astrology, alchemy, and magic – with Scripture, professing a Christian form of Neo-Platonism. The Catholic Church, in its alliance with secular powers, had permitted in a limited way theories deriving from Plato and Neo-Platonism as a secular support for religious doctrine. However, the works of Aristotle had obtained entrance to Western Europe along with Neo-Platonism. Aristotle introduced the “scientific method,” which was based upon observation rather than faith. Roman Catholicism and other mystical religions such as Neo-Platonism, regardless of their differences, have more in common with Plato than with Aristotle. When the scientific approach obtained a foothold in Western Europe, it represented a serious threat to the existing order and undermined religious faith. By the end of the Renaissance, the two systems of philosophy which historically had competed for preeminence were reversed and Aristotle became the philosopher of choice. The triumph of Aristotle over Plato during the Renaissance eventuated in a mass departure from established religion, which was superseded by reliance on human achievement. The popular opinion of the Age of Reason or Enlightenment was Deism, which held that the universe revolved around man and although God had created the world, man was left alone to manage things. In this atmosphere of scientific rationalism, faith in the unseen realm diminished producing a decline in orthodox religion. Likewise, the pursuit of occult or hidden knowledge was adjudged by the Establishment to be of equally doubtful intellectual respectability. As minister and metaphysician, Schleiermacher enthroned, instead of doctrine, “the power of Jesus self-consciousness” which was diffused through the believing community and taught that conversion is an arousal of the universal God-consciousness. 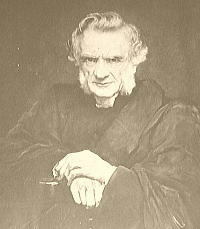 Since the unity of the original church was the influence of the Savior, in Schleiermacher’s view, “the essence of the church is fellowship.” (13) The extensive influence of Schleiermacher would uproot the German church from its doctrinal base, giving rise to new principles of higher criticism which rejected the authenticity of the Gospels, particularly the miracles, and also the cardinal doctrines of the Christian faith. Nineteenth century England and Western Europe experienced several major revolutions simultaneously. The Industrial Revolution had reconstructed the European economy; the scientific method of inquiry had challenged accepted religious norms; international communications removed geographical barriers; and the French Revolution of 1789 had created a milieu of abiding discontent among disenfranchised lower classes. James Webb records that “…in the short but significant upheavals of 1848 over fifty violent attempts took place to topple established governments.” (14) Socialist organizations proliferated which received their inspiration from the dialectical writings of Karl Marx (Capital) and Frederich Engels. In 1859, in the midst of these converging revolutions, Charles Darwin published the Origin of Species, which evolutionary thesis shattered the already frail faith of many in the established Church. “Reason died sometime before 1865…” wrote the historian. “…after the Age of Reason came the Age of the Irrational.” Bereft of assurances of immortality after so great an attack on biblical revelation were masses of hopeless people “begging for a revelation which was scientifically demonstrable.” Ensuing was a widespread flight from reason and a revival of the occult Traditions that had been discredited during the Enlightenment. The Ghost Society is also described in the biography of one of its founding members, The Life, and Letters of Fenton John Anthony Hort, by Arthur Hort. Arthur Balfour’s brother, Gerald, was also the brother-in-law of Emily Lutyens, a disciple of Theosophist Annie Besant and foster-mother of Jiddu Krishnamurti, who was thought to be Lord Maitreya, the World Teacher of the new age. “Lady Emily Lutyens, the wife of the architect, is interesting in this context. Before joining the Theosophical Society she had interested herself in state-regulated prostitution, and toyed with the notion of Women’s Suffrage. Her sister, Constance, went the whole way, was jailed and forcibly fed. Converted by Mrs. Besant, Emily became for ten years the devoted “foster-mother” and adherent of Krishnamurti. . . even among the highest reaches of society the crisis of consciousness made itself felt. The supernatural was no stranger to the family of Emily Lutyens. Gauld highlighted the distinguishing feature of the Evangelical community: “It is indeed the pattern of family life which Evangelicalism disseminated so widely that seems in retrospect its most important legacy.” Notwithstanding so rich a religious heritage, the spiritual casualties among Evangelical youth were legion. Another corruptive catalyst was the empiricist philosophy of John Stuart Mill, whose works attained enormous prestige at Cambridge and throughout England. The dominant theme of Mill’s Logic, (1843) was that the only legitimate source of information man has about the world is the physical senses; conversely, “faith” is not a valid foundation for belief. The failure of much Anglican hierarchy to repudiate the higher critics and radical freethinkers scandalized the Evangelicals, whose outraged response was considered reactionary by the scholarly community. In 1861, Benjamin Jowett and six liberal Churchmen published a volume entitled Essays and Reviews, in which they expressed alarm lest, “…the majority of Churchmen, by holding fast the narrow, fundamental beliefs, should estrange themselves more and more from contemporary thought.” (33) Jowett himself maintained, “Scripture must be interpreted like any other book and some of the essayists were even more radical in their tone.” The portents of apostasy in the Church of England were ominous. The Anglican clergymen who founded societies for Spiritualist inquiry became dignitaries in the Church of England. However, the younger Cambridge intellectuals whom they had disciplined in Spiritualist endeavors settled to work to establish a scientific basis for Spiritualistic investigation and proceeded to develop psychical research into a respected branch of knowledge. In the early 20th century, Sigmund Freud and Carl Jung were SPR Corresponding Members and contributed to the S.P.R. Journal of Proceedings. (58) In a recent expose of Jung’s occult proclivities, The Jung Cult, Richard Noll gives substantial credit to Myers and the S.P.R. for Jung’s major theories. The Founders of Psychical Research closes with the observation that psychical research emerged from the occult underground to a position of respectability within the establishment, largely due to the intellectual stature of the Society for Psychical Research. Edward Pease spent one year in the S.P.R. as secretary of its haunted-houses committee, but then turned to politics with the conviction that a social revolution was necessary. For a time he worked with an associate of Karl Marx, Henry Hyndman who founded the radical Social Democratic Federation. However, Pease was of the opinion that social revolution must begin with educating the intellectual and wealthy classes rather than fomenting agitation among the working class. He organized a Progressive Association which was joined by Podmore and other young fallen away Evangelicals. The Association split into the Fellowship of the New Life, a commune with utopian illusions, and a research/debating group which Podmore named the Fabian Society, after the Roman general who defeated Hannibal. Fabius Cunctator’s strategy which was to guide the Fabians was summarized in Podmore’s words: “For the right moment, you must wait…when the time comes you must strike hard.” The Fabians soon attracted intellectuals from various other dissident organizations. Of these, Sidney Webb, Bernard Shaw, and Annie Besant were members of the Dialectical Society influenced by the liberal millenarian aspirations of John Stuart Mill. As of 1886, the Fabian executive committee was comprised of Pease, Podmore, Besant, Shaw, and Webb. However, in 1889, Annie Besant was converted to the cult of Theosophy by Madame Blavatsky, whom she succeeded in 1891 as president of the Theosophical Society. Upon this revolutionary base, Sidney Webb, his wife Beatrice and playwright George Bernard Shaw built an organization which educated the intellectuals, bohemians and disillusioned clergy of England in the art of “permeating” and using the machinery of government for their own socialist ends. The MacKenzie’s observed, “There was, indeed, no clear dividing line between spiritual discontent and political radicalism in the netherworld of dissent.” Bernard Shaw and Sidney Webb argued that “socialism could be proposed without forfeiture of moral credit by a bishop as well as a desperado.” (64) The formation of the Christian Socialists and the Christian Social Union created the vehicle by which socialist doctrine would permeate the Anglican Church. Constantin Tischendorf (1815-74) was a German textual editor whom Dr. Frederick Scrivener of the English Revision Committee ranked “the first Bible critic in Europe.” Tischendorf traveled extensively in search of ancient documents and was responsible for finding the two manuscripts most relied upon in the Westcott-Hort Greek Text, the Codex Sinaiticus and Codex Vaticanus. Tischendorf discovered (c. A.D. 1844) the Vaticanus B manuscript in the Vatican Library and Sinaiticus Aleph in a wastebasket in a Catholic Convent at the base of Mt. Sinai. (81) In The Revision Revised, Dean Burgon described for his English readers the corrupt character of the manuscripts primarily used by Westcott and Hort, not to revise the Textus Receptus, but to create an altogether new Greek Text. In 1857, liberal Anglican churchmen petitioned the Government to revise the 1611 Authorized Version, but were refused permission. A general distrust of revising the sacred text was prevalent and Archbishop Trench, later a member of the Revision Committee, called the issue, “A question affecting…profoundly the whole moral and spiritual life of the English people… (with) vast and solemn issues depending on it.” Nevertheless, in 1871, the Convocation of the Southern Province was appealed to and consented to a revision. Of the nineteenth century cast of noteworthy characters, it may be postulated that two figures stand preeminently at the fountainhead of the converging streams of twentieth century Spiritualism and globalism. During the thirty year period in which B.F. Westcott and F.J.A. Hort were employed in the creation of a New Testament Greek Text and revision of the English Bible, they also guided organizations dealing in matters occult and conspiratorial. Their progeny includes not only the plethora of contemporary versions based upon Egyptian recensions, but also the Society for Psychical Research, which first propounded the principles of both modern Spiritualism and Psychology, and the S.P.R. derivative, the socialist Fabian Society, which founded the globalist London School of Economics and Political Science. The contribution of Westcott and Hort to modern spiritualism and global integration is indeed vast and is increasing exponentially as the modern prophets of occult Traditions receive international power to give full expression to MYSTERY BABYLON, which rides the Beast of the apocalyptic vision. James Webb, The Occult Underground, Open Court Publishing Company, 1974, p. 114. “The Apologetic Betrayal of the Gospel, Premise, Volume III, No. 6., July 30, 1996, ” Mark Devine. “Kant, Immanuel,” Microsoft (R) Encarta. 1993 Microsoft Corporation. 1993 Funk & Wagnall’s Corporation. Alan Gauld, The Founders of Psychical Research, Schocken Books, New York: 1968, p. 77. Arthur Hort, Life and Letters of Fenton John Anthony Hort, Vol. I, Macmillan & Co., 1896, pp. 171-72; pp. 211, 219-20. Available through The Bible For Today Press. W.H. Salter, The Society For Psychical Research, An Outline of it’s History, London, 1948, pp. 5, 6. H. P. Blavatsky, Isis Unveiled, Vol. II, Theosophical University Press, Pasadena, California, p. 243. 30 Alan Gauld, p. 35. David Otis Fuller, Which Bible?, Grand Rapids International Publications, 1975, pp.271-72. Arthur Hort, Vol. I, p. 170-71. Ibid., p. 242; also pp. 41-2,61, 64, 67, 76, 83, 92, 98, 105-6. Ibid., p. 196; also p. 198. Ibid., Vol. II, p. 184. Ibid., p. 34; Gauld, pp. 274, 338. Alan Gauld, pp. 90-1 ff., 143 ff. Alan Gauld, p. 174; Webb p. 38. W.H. Salter, p. 31;Gauld, p. 338-9. Richard Noll, The Jung Cult, Princeton University Press, 1994, pp. 31-2. Society for Psychical Research, 49, Marloes Rd., Kensington, London W8 6LA. Norman and Jeanne MacKenzie, The Fabians, Simon & Schuster, 1977, p. 18. Arthur Westcott, Life and Letters of Brook Foss Westcott, New York Macmillan and Co., 1896, Vol. I, p. 197. Available through The Bible For Today Press. Gary Kah, En Route to Global Occupation, Huntington House Publishers, Lafayette, LA, 1992, pp. 32, 61. Arthur Hort, Vol. I, p. 240. D.A. 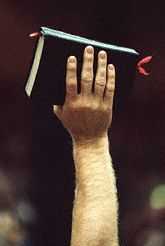 Waite, Th.D., Ph.D., Defending the King James Bible, The Bible For Today Press, 1992, pp. 54, 57. David Cloud, Way of Life Encyclopedia, 1219 North Harns Road, Oak Harbor, WA 98277. New King James Version, Preface, “The New Testament Text,” Thomas Nelson Publishers, 1982. John William Burgon, B. D., The Revision Revised, Dean Burgon Society Press, 1883, pp. 241-42, 270. Arthur Hort, Vol. I., p. 400. Arthur Westcott, op. cit., Vol. I, p. 207. John William Burgon, p. 319. Ibid., pp. 11, 12, 16. David Otis Fuller, pp. 141-43. John William Burgon, p. 24. Arthur Hort, Vol. I, p. 445. Arthur Hort, Vol. II, pp. 138-39. This is not my article. I am posting it under the fair use act for educational purposes. (Section 107 of the Copyright Act) I found it to be very informative and I decided to share it with all of you. I have posted it in its entirety, to include links and source material. I did however correct numerous spelling & grammer errors. FOr further information please contact the author or the source. May God bless you and yours.